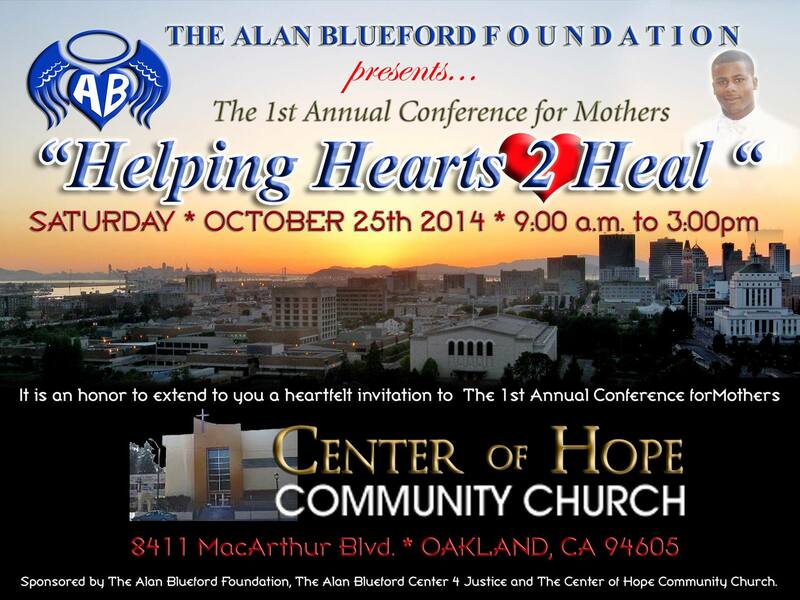 1st Annual Conference for Mothers: Helping Hearts 2 Heal #HH2H | Justice 4 Alan Blueford! This entry was posted in All Lives Matter, Event, Helping Hearts 2 Heal and tagged #CommunityUnityAgainstPoliceTerror, #EndPoliceTerrror, #HH2H, Helping Hearts 2 Heal. Bookmark the permalink.